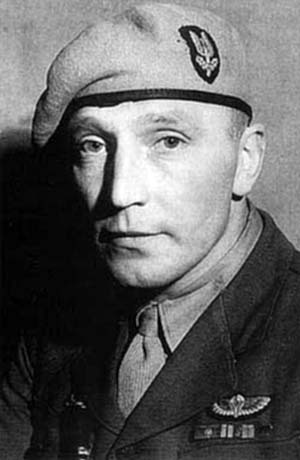 Today in Masonic History Robert Blair "Paddy" Mayne is born in 1915. Robert Blair "Paddy" Mayne was an Irish athlete and soldier. Mayne was born on January 11th, 1915 in Newtownards, County Down, Ireland. He attended school at Regent House Grammar School, a school for students age 4 to 18. While at Regent he discovered his skill and love for the game of Rugby. He also enjoyed cricket, golf and became a marksman with the rifle club. He went on to Queen's University of Belfast to Study law. At the university he took up boxing and became the Irish Universities Heavyweight Champion in 1936. He also won the Scrabo Golf Club President's cup in 1937. He graduated from Queen's University in 1939. During 1938, Mayne traveled to Africa on the 1938 Lions Tour of to South Africa. He played on a team that toured around Africa playing other local clubs. While traveling, it was discovered that Mayne had a wild side and on various occasions found himself in trouble. His "go to" was to trash the hotels rooms of his team mates. The team included some of the best players from around Ireland and Britain. In 1939, with outbreak of World War II, Mayne joined the Supplementary Reserves in Newtownards and received a commission in the Royal Artillery. He was served in several units in Ireland and England, generally with light and heavy anti-aircraft units. Mayne volunteered for the No. 11 (Scottish) Commando unit which was sent to the middle east. There he saw action during the Syria-Lebanon campaign. Specifically during the Litani River operation, he drew attention from Captain David Sterling who was forming the new Special Air Service (SAS). Sterling recruited Mayne for the new SAS while he was in jail for striking his commanding officer. From November 1941 to the end of 1942, Mayne was involved in several raids behind enemy lines with the SAS. He would use jeeps to go to various Axis bases and begin blowing up planes and fuel dumps. It is claimed that he personally blew up 100 planes during these missions. One of his early missions helped to save the newly formed SAS when a previous attack had failed, Mayne was able to destroy the base. Mayne served in the middle east as well as Sicily, Italy, Belgium, the Netherlands, Germany, Norway and France. In most of those locations he worked with the resistance behind the enemy lines. In France he helped to train the French resistance. By the end of the war, Mayne had been promoted to the rank of Lieutenant-Colonel. He had also received the British Army's Distinguished Service Award with 3 bars, which means he received the award four times. The fourth was controversial and was for his work with the French resistance. Mayne had actually been put in for the Victoria Cross, the higher honor that the British Military has for "valor in the face of the enemy." When Mayne received the third bar for his DSO instead of the Victoria Cross many in the military community were stunned and angered by the injustice that was done to Mayne. As recently as 2005, the British Parliament was asked to reopen the case and award the Victoria Cross to him posthumously, they refused. After the war Mayne joined the British Atlantic Survey in the Falkland Islands. He returned home to Newtownards when back issues became difficult for his to deal with. His back issues started while he was serving in the middle east. Mayne passed away on December 14th, 1955 due to an automobile accident. Mayne struck a farmers fence in the early morning, it was believed that he was intoxicated at the time of the accident. Mayne was initiated into Eklektikos Lodge No. 542 in Newtownards in 1945. He did not receive his 2nd or 3rd degree until 1946 after he returned from his time with the British Atlantic Survey. In 1954 he served as Worshipful Master of Eklektikos Lodge No. 542. He was a very enthusiastic mason and joined a second lodge in Newtownards, Friendship Lodge No. 447. On the evening of December 13th, 1955, Mayne had attended a meeting of Friendship Lodge and then joined some of his masonic brothers at a local bar. In the early hours of December 15th, Mayne left the bar. He was found at 4:00am in his car.